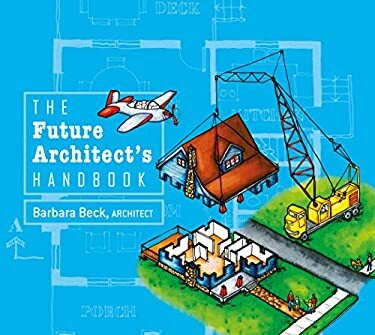 For children with a passion for drawing, or dreams of creating buildings, this book explores how architects really work, taking the young reader through the entire process for planning and designing a house. Learn about an architect's four main drawings: the Site Plan, Floor Plan, Section, and Elevation--including the concept of drawing each plan to scale. Aspiring architects discover design techniques, along with different, exciting architectural styles used today. All of this is brought to life in freehand, pen-and-ink architectural drawings that will inspire children to apply these lessons to their own designs. This book is the perfect introduction to architecture, revealing why buildings look and function as they do. While this creative book is ideal for the middle grades, ages 9-12, even adults will find it inspiring. New (39 available) BRAND NEW. Over 1.5 million happy customers. 100% money-back guarantee. Make your purchase count: support Better World Books' worldwide literacy partners.